This accent size lamp base is the perfect way to update any bedside, or living room. This base is a rich, Restoration Bronze finish that compliments any home dicor. The Hammered design / texture brings a rustic feel to any room. It is easy to find many accent size shade options to compliment this base. Use this gorgeous table top lighted red bonsai tree for a dramatic touch to your next party, anniversary, holiday, wedding celebration or center piece. Ideal for indoor use and a great gift idea for anyone. 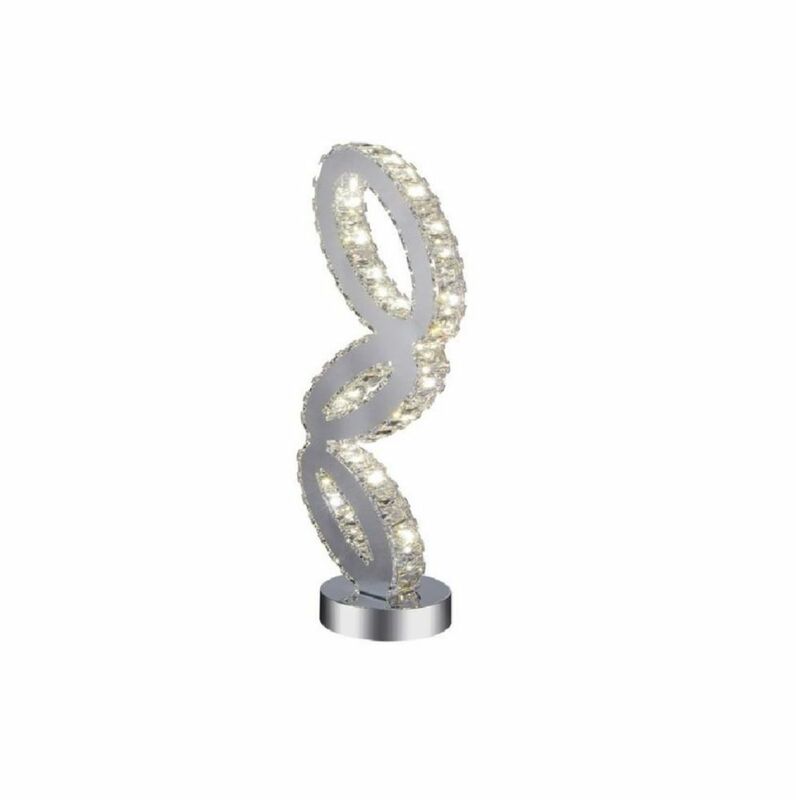 Balanced 9 inch LED Table Lamp with Chrome Finish This breathtaking LED Table Lamp with Chrome Finish is a beautiful piece from our Balanced Collection. With its sophisticated beauty and stunning details, it is sure to add the perfect touch to your dicor.